To use React to its greatest potential, Properties (or props), ideally a set of immutable values, are passed to a component’s render function. A component should not directly modify any properties passed to it, but should be passed callback functions that instead modifies the store creating a single source of truth. This mechanism’s promise is expressed as “properties flow down; actions flow up”. The described mechanism is an architecture called Flux. Many Flux alternatives have been created since its inception however the community has moved toward Redux. Another notable feature is the use of a “virtual Document Object Model”, or “virtual DOM”. React creates an in-memory data structure cache, computes the resulting differences, and then updates the browser’s displayed DOM efficiently. This allows the programmer to write code as if the entire page is rendered on each change, while the React libraries only render sub components that actually change. It is also type-safe and most of the errors can be caught during compilation. It makes it easier and faster to write templates, if you are familiar with HTML. As of React v16.0 it is now possible to return an array of elements, fragments and strings. 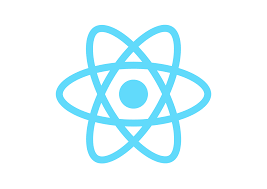 The above mentioned is a brief about ReactJS. Watch this space for more Blogs on latest trends and Information in Technology that is needed in the current generation.